The organizers of Creative Visions: Hong Kong Cinema 1997-2017, the three-day film fest scheduled for 17 to 19th November, 2017 in London, have just unveiled their lineup of films. And headlining the thrilling set of nine movies is Paradox, directed by Wilson Yip, and starring Louis Koo, Gordon Lam, Wu Yue and the international action superstar Tony Jaa. Paradox, an action-packed thriller set in Thailand, is the latest installment in the blockbuster SPL series. This will be the European premiere of the film. What’s more, attendees will also get to meet award-winning Hong Kong star and producer Gordon Lam (Cold War, Ip Man) after the opening film’s screening. 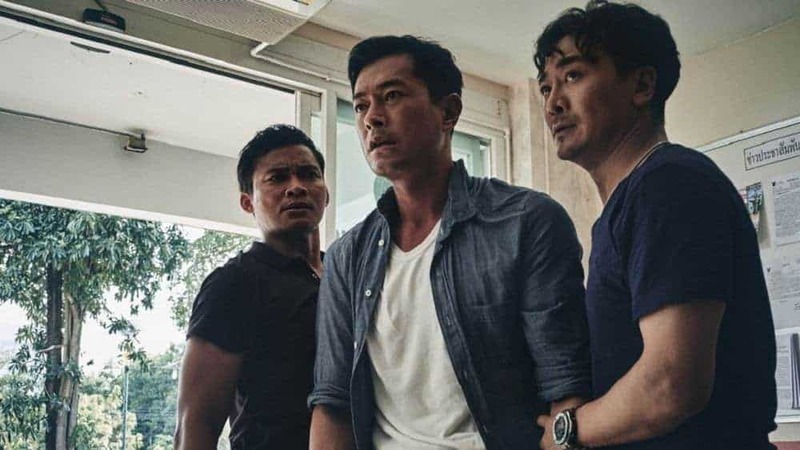 Two other major Gordon Lam starrers, Trivisa (the 2016 fictionalized version of the lives of three real-life notorious mobsters) and The Brink (a thriller with a multi-star cast led by Max Zhang), also form part of the roster of screenings at the fest. Creative Visions: Hong Kong Cinema 1997-2017 is jointly organized by Create Hong Kong, Koenig Film Consultancy, Hong Kong Economic and Trade Office, London, and Hong Kong International Film Festival Society to showcase the versatility and inventiveness of Hong Kong cinema, especially in the face of changing local and overseas markets in the last twenty years. This period marks two decades of the formation of the Hong Kong Special Administrative Region. Hong Kong’s film industry has continued to thrive over these two decades, and the festival brings to UK audiences a fantastic selection of some of the most loved gems from this exciting hub of creative activity, everything from contemporary classic to bold new features. The nine film program consists of three European/UK premieres – the opening film Paradox, which boasts of the legendary Sammo Hung as action choreographer; The Brink, directed by Jonathan Li, assistant director on the Infernal Affairs trilogy; and Mad World, the critically acclaimed directorial debut by Wong Chun, which stars Eric Tsang and Shawn Yue. Mad World is also Hong Kong’s Oscar Best Foreign Film entry for 2017. Also being shown are Ann Hui’s Ordinary Heroes, Johnnie To’s PTU, Fruit Chan’s Made in Hong Kong (4K restored in 2017), Alex Law’s Echoes of the Rainbow, Derek Kwok and Clement Cheng’s kung fu homage Gallants, and, of course, Johnnie To’s acclaimed production Trivisa, co-directed by Frank Hui, Jevons Au and Vicky Wong. Creative Visions: Hong Kong 1997-2017 will be organized over the weekend of 17th-19th November at The Soho Hotel & Ham Yard Hotels in London. The screening schedule of the London edition is given below. Apart from Hong Kong and London, other cities selected for the celebration of 20 years of Hong Kong cinema are Udine, Vancouver; Toronto, Berlin, Seoul, Moscow, Paris, Manchester and Prague.